On May 1, my school held one of our most important days of the school year. It was Signing Day. Many people may say, Signing Day? Did they choose the Gators, Seminoles… who are they playing for? But, I have to stop them. Our Signing Day is not about athletics, but rather academics. 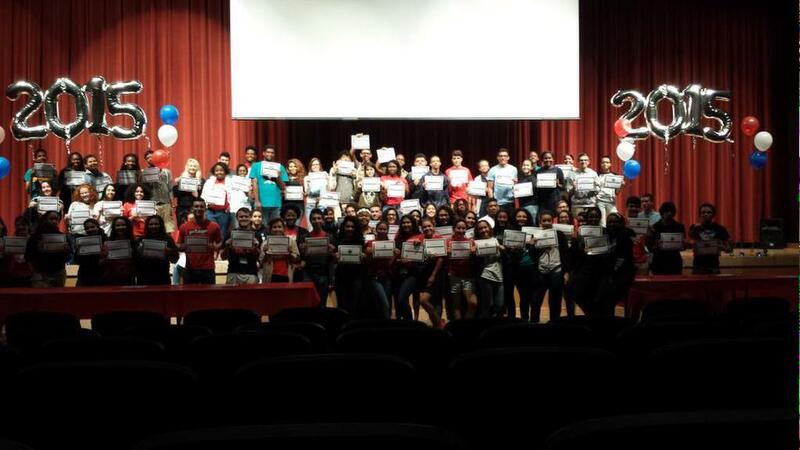 May 1st every year is College Decision Day, and we celebrate our Seniors that have been accepted to college or have post-secondary plans. We are in our second year of this tradition and we doubled the number of acceptances from last year. The process is simple. We invite all of our accepted students to our Signing Day ceremony. There they meet with their peers and we acknowledge each post-secondary institution and those accepted. Students sign a certificate that states their commitment to the importance of post-secondary education. Each signing we cheer, celebrate, cry, and lift each other up. It has become one of the most important events to me personally. I hope that you can take this idea and bring it to your school. In the meantime, check out my College and Career Counselor, the @theeducounselor on Twitter. For more information about having Mike speak at your school or district, click the “Book Mike” link under Work With Me.